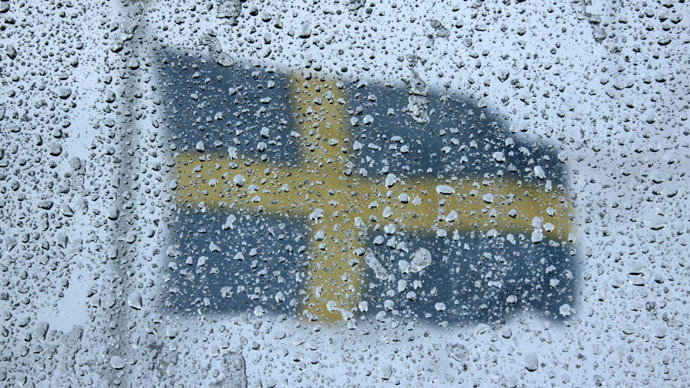 A major survey reveals increased levels of segregation between native Swedes and second-generation immigrants in some of the biggest towns in Sweden over the past two decades. Some experts predict further growth could be "unfortunate," however. Using a value labeled ‘the segregation differential’, the Dagens Nyheter newspaper, along with Statistics Sweden, mapped out ethnic segregation in the 30 largest municipalities across the country. The challenge was to find out how large a proportion of all immigrants and second-generation immigrants have other foreign-born neighbors or people with foreign-born parents as their 400 next-door neighbors to compare the figures to the same amount for native Swedes. The difference between the two values gives the segregation figure. “That the number of immigrants and native Swedes differs suggests segregation," economics Professor Olof Åslund of the Institute for Labour Market and Education Policy Evaluation told Dagens Nyheter. "We can tell that over a period over of time it is on the increase – it is noticeable. The number of people from foreign backgrounds has gone up and it has risen more in areas that already have a large number of immigrants,” he stated. Back in 1991, the segregation differential for Stockholm was 14 percentage points, in striking contrast to 22 percentage points these days. In Gothenburg, second largest city in Sweden, it has gone up from 14 to 25, while in Sweden's third-largest city, Malmö, it has gone up from 16 to 22 percentage points. Compared to 1991, segregation has risen the most in Kristianstad (home to over 35,000 people), Örebro (the seventh-largest town in the country with a population of about 140,000) and Linköping (in southern Sweden with 104,232 inhabitants) in central Sweden. The former has seen an exceptional rise, from 6 percentage points in 1991 to 27 today. The three most-segregated municipalities in 2013 were Botkyrka and Södertälje, close to Stockholm, and Kristianstad in the south. Dagens Nyheter says that's because the municipalities have invested in high-rise buildings where the number of people from a non-Swedish background is also high, but also has large clusters of detached housing areas, mostly occupied by native Swedes. According to cultural geography researcher at Uppsala University, John Östh, segregation could continue its growth. "Seen over a long period, the development could be unfortunate," he warns, however. “You make segregation so much stronger. We have a strong influx of people, but don't build as many houses. We, perhaps, aren't even ready to integrate them in school. I am immensely positive to our immigration, but we do have integration problems. Segregation will continue to rise,” Östh told the paper. Sweden receives the highest number of refugees per capita in the European Union, second only to Germany. Last month the UN high commissioner for refugees (UNHCR), Antonio Guterres, called on the EU to impose a quota system aimed at preventing the two countries from taking in a greater number of asylum-seekers than all other member states. An Ipsos poll earlier this year suggested that integration is the second top concern of eligible voters in Sweden, just behind education, the Local reported. One in five voters stated that the integration of immigrants is the biggest social issue in Sweden, a survey commissioned by Dagens Nyheter showed. Last year in August, only 13 percent responded that integration was their major concern.